£112.00 Sorry, currently not in stock! 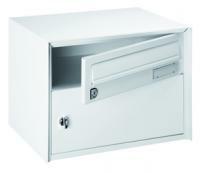 The Zurich mailbox is uique in design and has an easy access integrated utility box. Made from electrogalvanised steel and powder coated with 100% polyester, the Zurich Postbox is ideal for external or internal use. 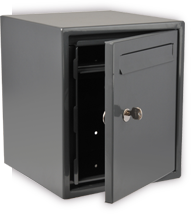 The postbox is supplied with a security lock and 2 keys. The size of the mail-slot is: 320mm x 35mm whilst the parcel/utility box has dimensions of 370mm W x 160mm H x 300mm D and is supplied with an easy access latch lock.